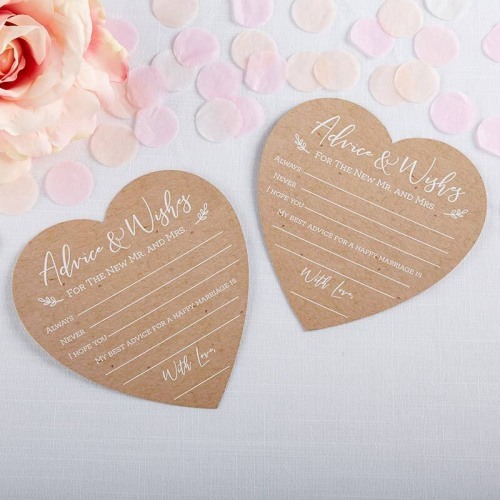 Materials: Faux craft paper cardstock in a heart shape with white printed text. These Kraft Heart Shaped Wedding Advice Cards let guests share advice with the bride and groom on the big day. Cards have a fun heart shaped that can be framed or kept inside a keepsake boxto read years from now. Cards come in a set of 50.